14 years ago, just before the old millennium ended, Acclaim brought out a very popular racing game called RE-VOLT. 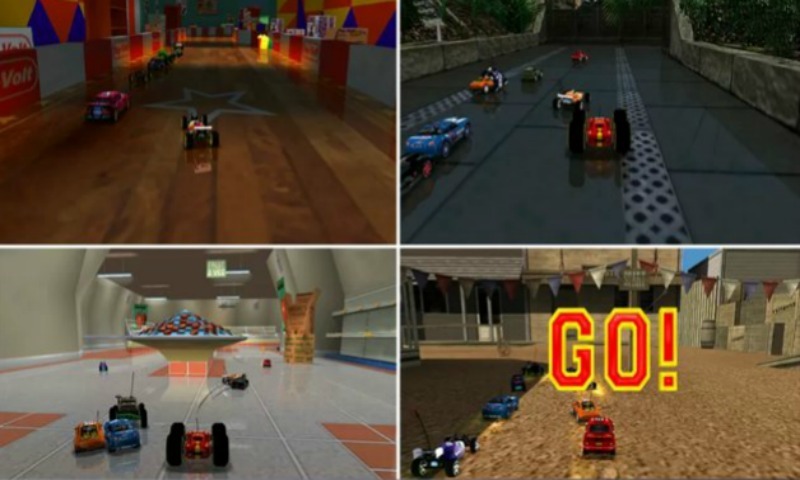 It was a great game where you handled small remote control cars over a variety of tracks, collecting items, which you could use. The classic was ported some time ago for Android, and we now look at whether the game RE-VOLT Classic (Premium) has enough value to warrant a paid purchase. Find out in today's app test. The permissions for RE-VOLT Classic (Premium) show no abnormalities. 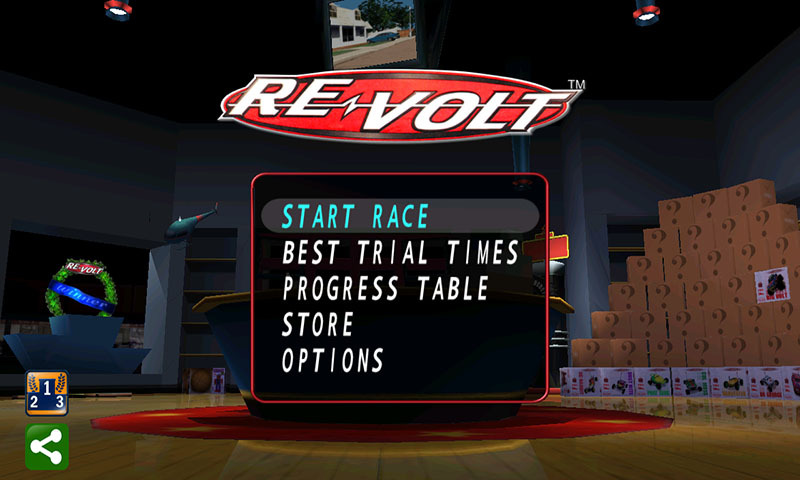 RE-VOLT is a racing game classic for me. I played the game for years after it was mentioned once in Bravo Screenfun (those were the days). Anyone who does not know RE-VOLT has really missed out on something! In the game you drive remote controlled cars, but as if they were "normal" cars - just smaller. The funny thing is that you get to see the routes from a different perspective: whoever would have thought a basketball could ever be an obstacle that would cost you so much time! At the same time, you collect various items with which you can help yourself or hinder opponents. Seeker missiles, water balloons, electrocution, oil paints, turbo batteries and some other weapons and tools make the race very exciting. Just because you lead after the first round does not mean that you can not come across the finish line dead last! RE-VOLT Classic (Premium) is basically an exact implementation of the original. You can find all 14 routes, all race modes and all 42 cars. Of course, everything has to be unlocked gradually as with the original. Optionally, there is also the ability to unlock (via in-app purchase) bonus tracks, cars and Clockwork Carnage Mode. These cost between 1.80USD and 2.70USD, but are not necessary if you just want to play the game "as before." RE-VOLT Classic (Premium) is actually a very good re-presentation of a classic racing game. You get the game exactly as you already know it from before. Unfortunately there are weaknesses in the next category, but more on that below. If you loved Re-Volt, or simply want to play a great racing game, then RE-VOLT Classic (Premium) is certainly worthy. RE-VOLT was released for PC and then some consoles, and on the PC you got the best graphics. RE-VOLT Classic (Premium) is based graphically on the PC version, so this is good news for Android owners. This image is also very sharp on the Note 2, and even if a 14 year old title can't really keep up with the graphics of current smartphone games like Need for Speed: Most Wanted, at least you get the same picture you had the first time around on the PC. 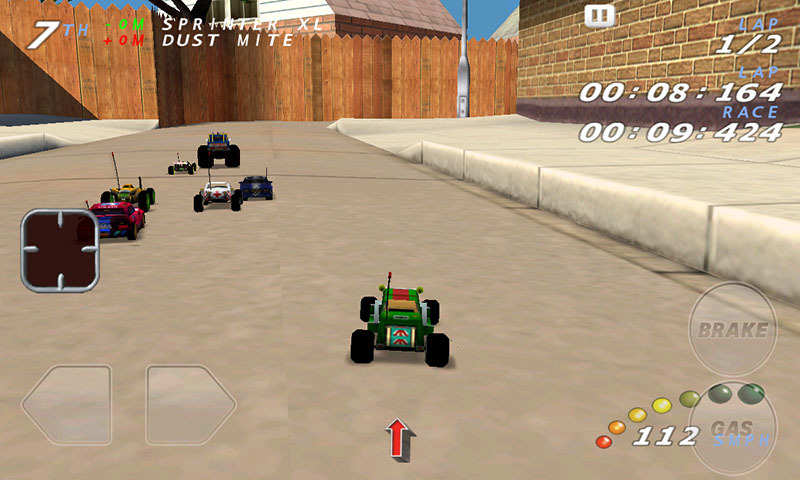 Unfortunately it looks worse when it comes to controls: RE-VOLT was never known to have problem-free control. The cars often behave somewhat stubbornly and often times the fun is simply swallowed up by anger. In RE-VOLT Classic (Premium) there is of course the added fact that a touch screen is not necessarily the best input method for racing games. There are frequently times when you can't catch the right button in the heat of battle. The controls of RE-VOLT Classic (Premium) are thus even slightly worse than the original. Nevertheless RE-VOLT Classic (Premium) far from unplayable, but it definitely requires some practice to get used to and they could still improve the controls. Again, there is no problem: RE-VOLT Classic (Premium) runs stable on the Galaxy Note 2 and without any problems. 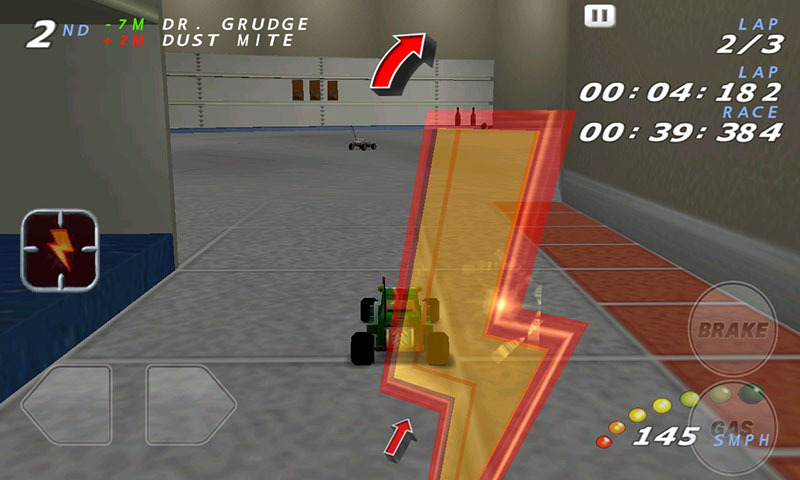 RE-VOLT Classic (Premium) is available for 4.60USD in the AndroidPIT App Center and Google Play Store. For a solid and full re-creation of a great game it's quite a fair price. In addition, there is also a free (limited) version available if you want to try before you buy the full version. Its nt working.. showing error extension file not found.